Many years I feel like we celebrate Halloween, blink, and then it’s Christmas. I feel like we blow right past Thanksgiving if we are not intentional and make it a point to focus on the holiday. 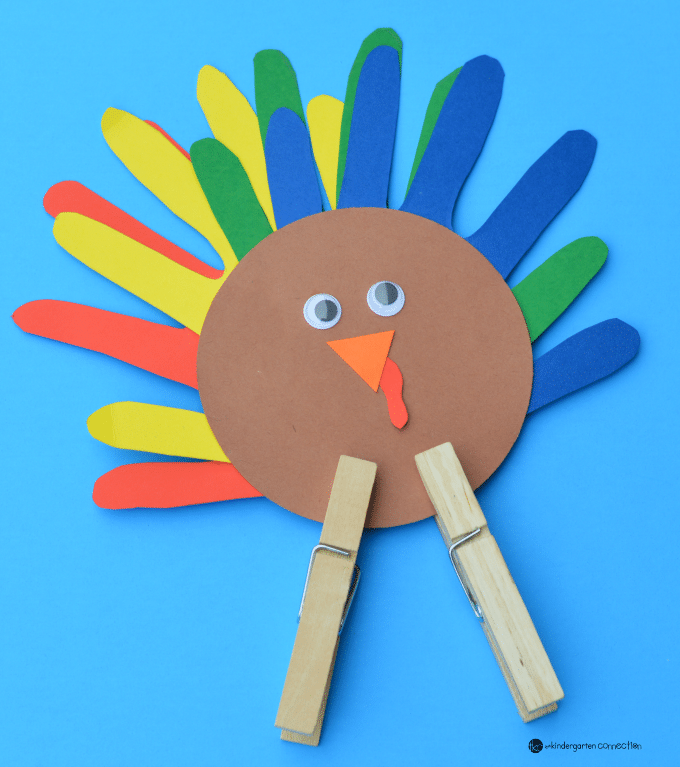 We make sure to get in plenty of fun Thanksgiving activities like this Handprint Turkey Craft before we move onto Christmas. 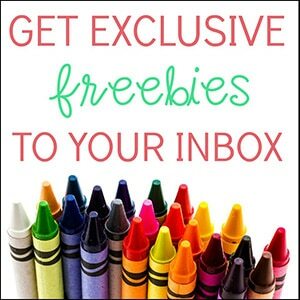 Your kids are sure to have fun with it too! 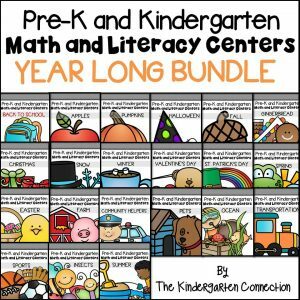 *For even more fall fun, grab our fall math and literacy centers! 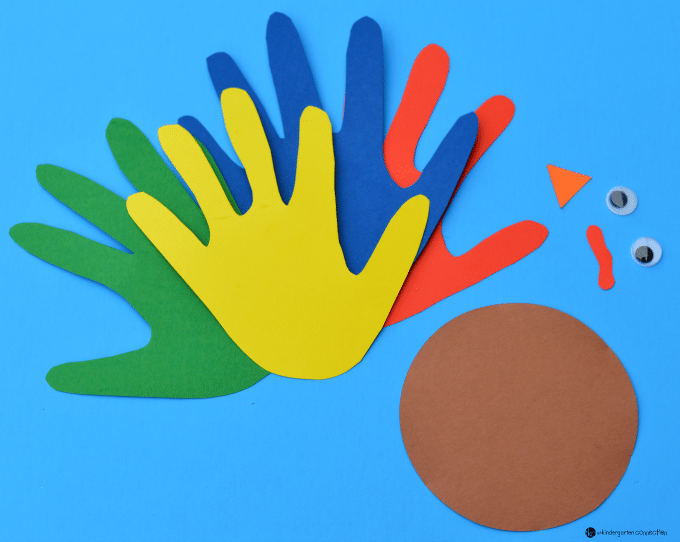 To get started on your handprint turkey craft, first gather all your supplies. 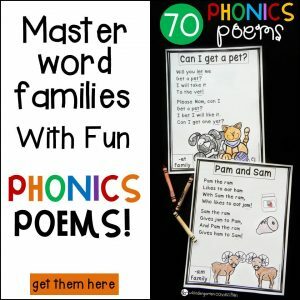 You need brown paper for the turkey’s body, red paper for the gobbler/wattle, orange paper for the beak, and a variety of colors for the feathers. 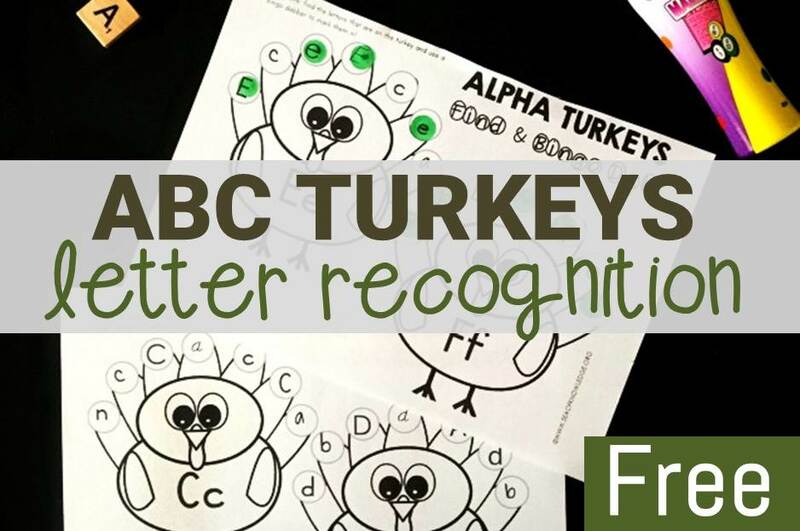 To get started, trace your child or student’s hands on different colored paper for the turkey’s feathers. We made four handprint feathers for our turkey craft. Next, cut a round circle from brown paper. We used a circle craft punch. This will be the turkey’s body. Cut a beak from the orange paper and gobbler/wattle from the red paper. We then glued the handprint feathers to the back of the brown circle, and glued the beak and gobbler/wattle to the front. Finally, we glued on two google eyes above the beak. The turkey was almost complete! 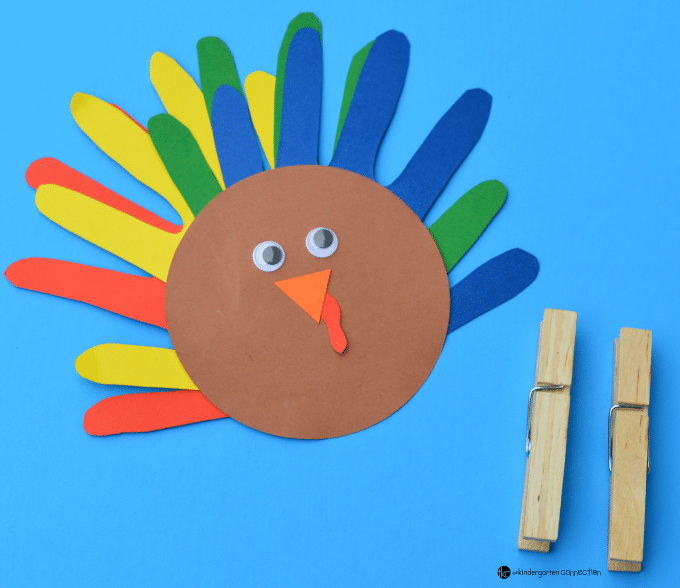 To finish it off, we attached two clothespins to the bottom of the brown circle for the turkey’s legs. 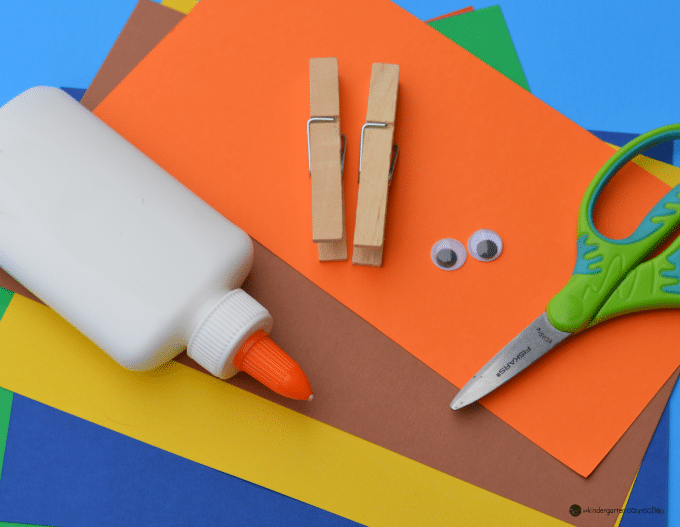 Squeezing the clothespins is a great fine motor activity. 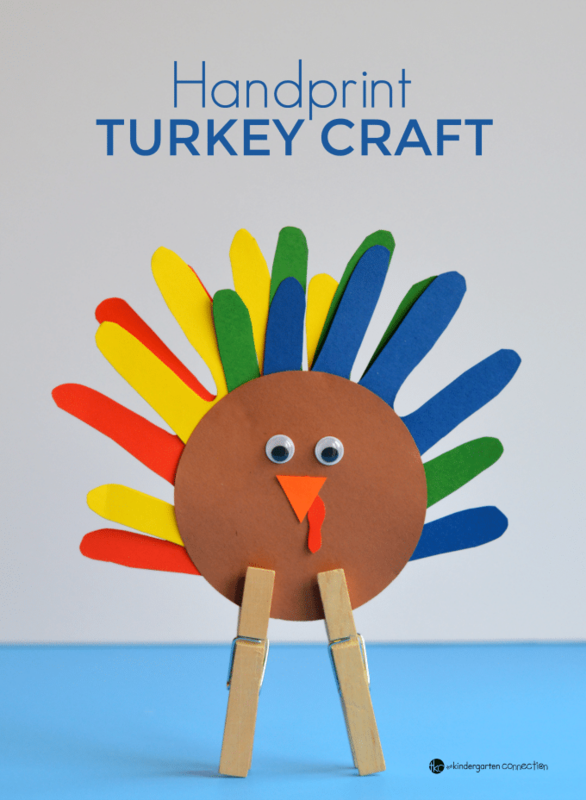 I love how this handprint turkey craft turned out! 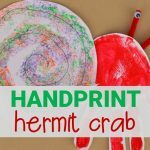 I’m a huge sucker for adorable handprint crafts. 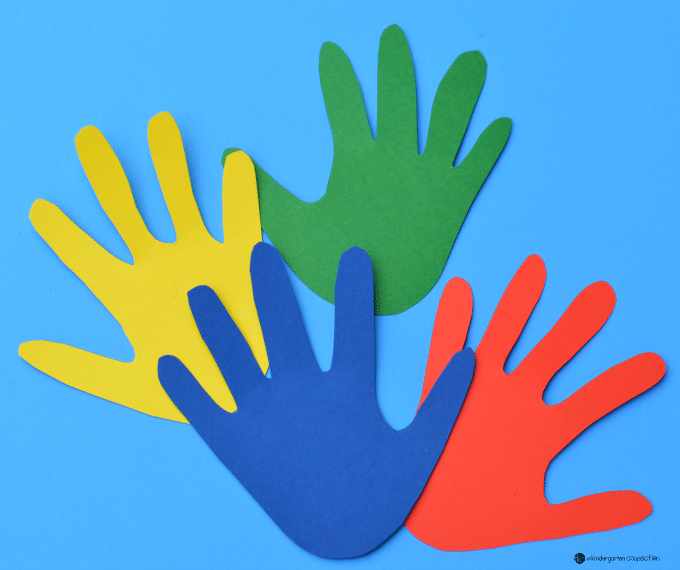 Kids grow so quickly, and as I parent I always treasure art and crafts made with their handprints. 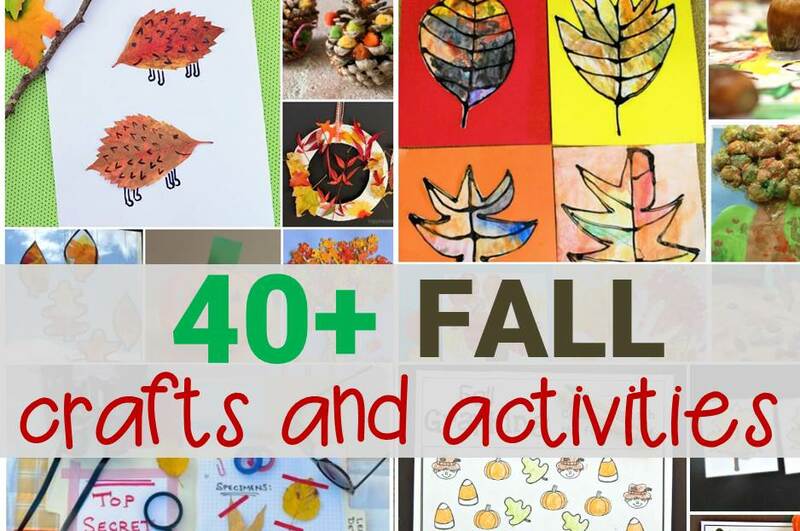 Looking for more fun fall activities to try? 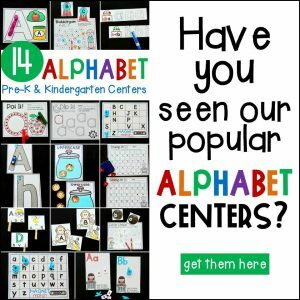 Here are some of our favorites!